Using Apple Magic Mouse in Windows 7, Windows 8 with all functions needs some drivers specific for 32 bit or 64 bit version of Windows 7, Windows 8. Before starting to write about using Apple Magic Mouse in Windows 7, Windows 8, you can read how to get Fully functional Apple Magic Trackpad in Windows 7, Windows 8 PC. 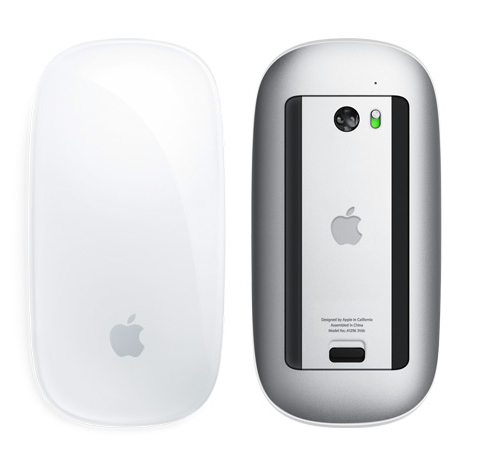 Apple Magic mouse is a gadget that fits perfectly with iMac, MacBook Pro, MacBook Air. I have this beautifully crafted Apple Magic Mouse for my works on MacBook Pro. I do not use Microsoft Arc Mouse anymore, because my two MS Arc mice has died breaking my last hope on Microsoft’s production of good quality hardware, I knew their softwares are only crap. It is better to avoid plastic made Arc Mouse even if you can not afford Apple Magic Mouse. Logitech is a good alternative at good price. The packaging of Apple Magic Mouse comes in a beautiful transparent box, which itself is a showpiece. The bottom of the mouse has precisely crafted Aluminum back, a switch, a LED and it comes with two AA batteries. If you are a MacBook Pro user, the quality will remind you of our beautiful charger’s charging port. If you are a Windows Desktop, Laptop user; please get used with using precise instruments of Apple; do not touch the mouse with a dusty hand, make your finger trained to handle the precise, state of art instruments. Keep a white cloth to clean your hand – the top of Apple Magic Mouse is glass. I had the problem of understanding the preciseness too like every user who upgrades from Windows to Mac. Always buy Apple products from a listed reseller, you will get the list on their website. This is the original source of all information for using Apple Magic Mouse. There are separate drivers for 32 bit and 64 bit Windows. Use Google Translate to translate it to English. It is very crude to give direct link without referring towards that website. Start Using Apple Magic Mouse in Windows 7 or Windows 8 after a restart. This Article Has Been Shared 5975 Times! Everything is written on the mentioned website. Supporting gestures depends on the mouse and installed drivers. Alternative cheap options that works on Windows are also written at the beginning. We or the software developer can not give ANY warranty for using Apple Magic Mouse on Windows PC / non Apple products or assure about the functions. They might vary from one PC manufacturer to another. The article and software is distributed as is without any warranty. There is no warranty for a free method or software. Still on the fence with the Magic Mouse. My mitts are too darn big for these tiny contraptions. Agreed, would also like to point out it’s not a precession device. No more than any other mouse today. This mouse runs great on Mac, smooth and FULLY functioning. On PC it’s no more than a generic mouse. Even the Magic Mouse drivers apple supply for windows are technically generic. The jolty rather than precise scroll is a fine example of this. As for keeping it clean, really?!?! Its actually designed for Mac. We are forcing to work on other OS. The buggy part to clean is the gap between the metal body and glass (from side). I use iKlear to clean the rest whole body. how do I get the scrolling functionality of the apple mouse to work and to communicate to the windows 8 … clicking is all good, cant screen scroll ? No gesture is currently supported for Windows OS, probably Microsoft wants to sell their own hardwares. Some GNU Linux supports gestures. We have not tested though. Cite this article as: Abhishek Ghosh, "Using Apple Magic Mouse in Windows 7, Windows 8," in The Customize Windows, November 22, 2012, April 21, 2019, https://thecustomizewindows.com/2012/11/using-apple-magic-mouse-in-windows-7-windows-8/.